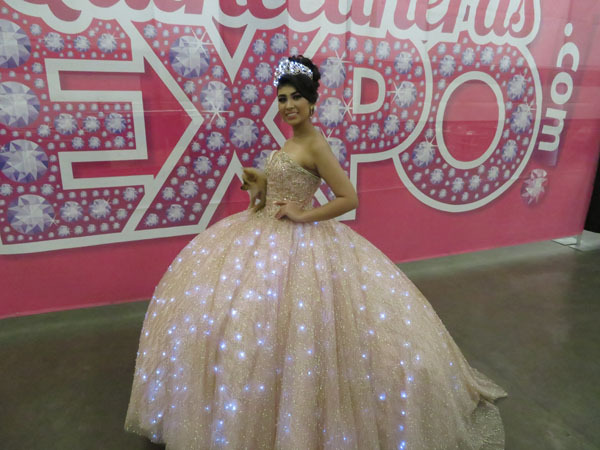 Every girl at some point has wanted to be a Disney princess. The dress, the crown and the prince. 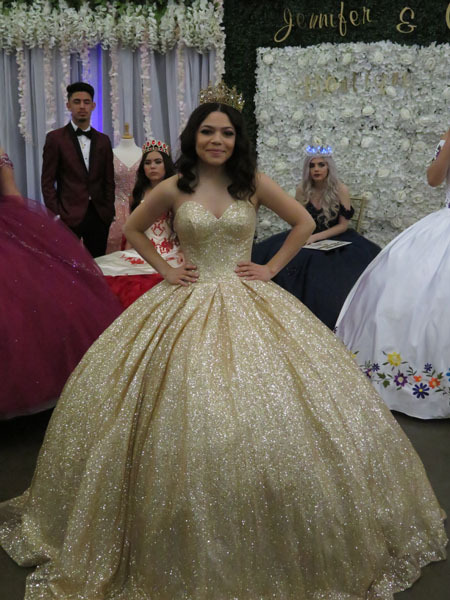 She may also have made up her own princess or choose her favorite princess to be and as Disney princesses have become more diverse these last couple of years, so have quinceaneras. 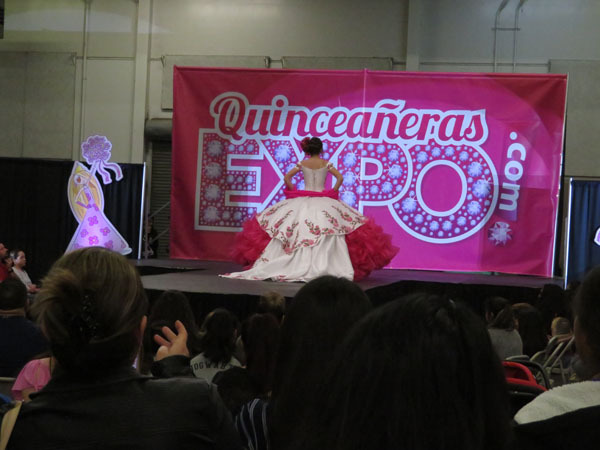 On March 10 the San Joaquin County Fair was a host to the Quinceaneras Expo. 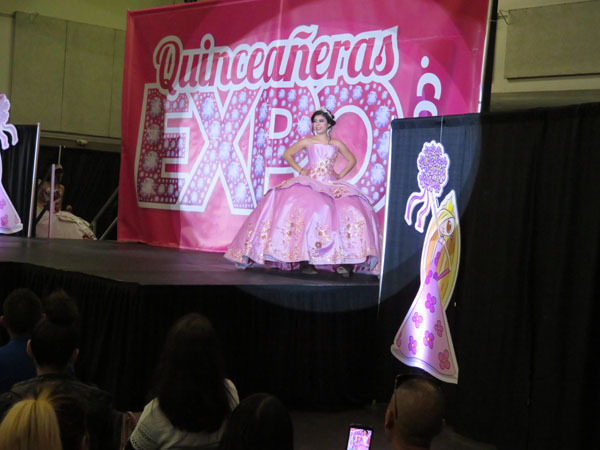 This expo is one of the two hosted each year in California with the next one being hosted in the Sacramento County at the Flamingo Palace Banquet Halls on Aug. 18. 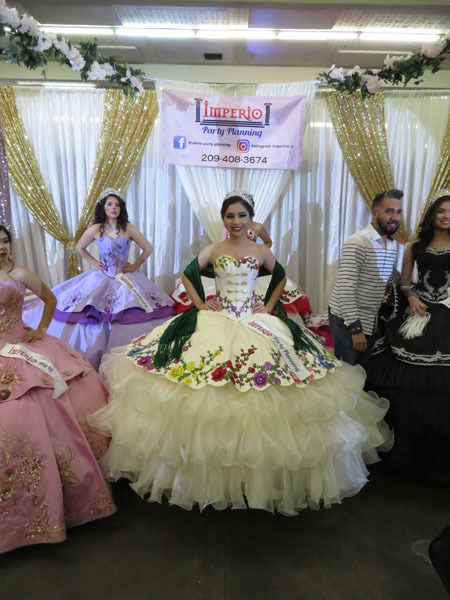 The Expos’ sole purpose is to simplify the process of planning quinceaneras. According to Gil Medina, a worker at the expo, the process used to be tiring for families. They had to drive from store to store, going by word of mouth to find something that met their needs while also keeping it within their price range. 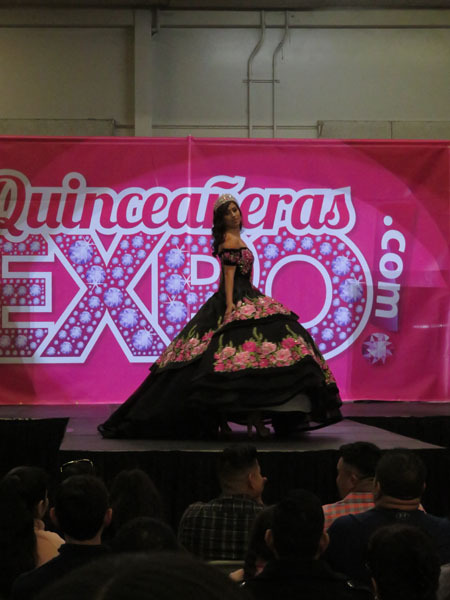 With this expo, Medina said, they can get everything done in a day because it features local vendors ranging from dress shops, decorators, photographers, caterers, DJs and limo services. The communication process between client and seller has also been simplified.Girls are now given badges with basic information about them, such as their measurements, their budget and possible themes.That way, if the family decides to set up an appointment with the seller, they don’t have to go into things blind. 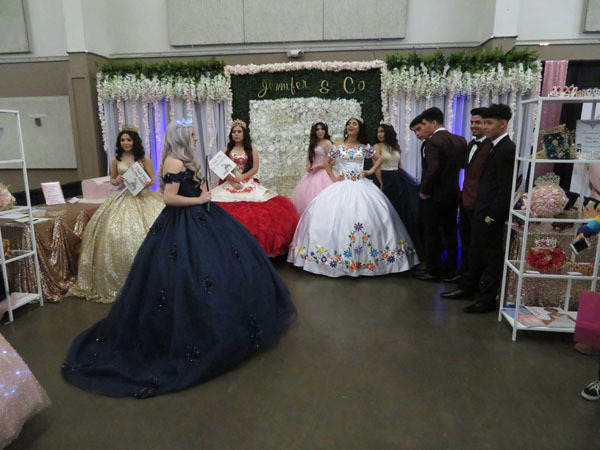 “The tradition hasn’t changed, the moral of the quinceaneras celebration hasn’t changed, what has changed a lot is the amount of money that is being spent on quinceaneras and also the resources and the way the quinceaneras get their resources, “ said Medina. 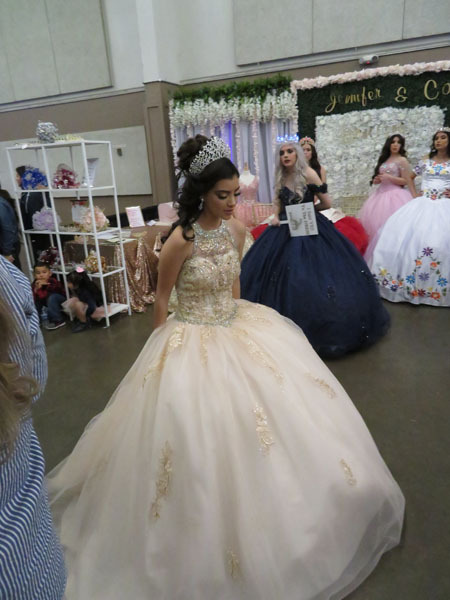 The quinceanera as a whole is part of a Hispanic tradition and is a giant party of sorts that represents a girl’s transition into a lady — which explains the custom of switching the shoes to the heels, the girl’s dance with her father, and the giving of the final doll. All these things represent the woman they have become. It doesn’t necessarily mean the girl can make her own decisions yet, but now she has more of a say. 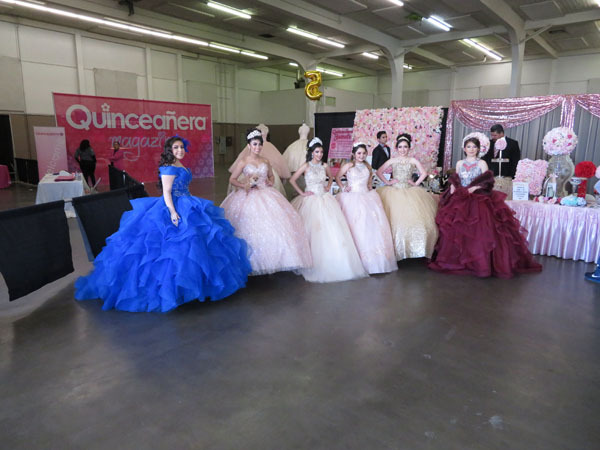 Which means that the quinceanera is a tendency that is vast and the reality is that every girl wants a quinceanera. Melano had said that though she does this for a living and helps roughly five to six girls a day, nothing can compare to planning your own daughter’s. She knows how it feels,which is why she makes sure everything goes well. Which is also why she recommends parents to order the dress six months in advance because it could take up to three to four months to alternate. 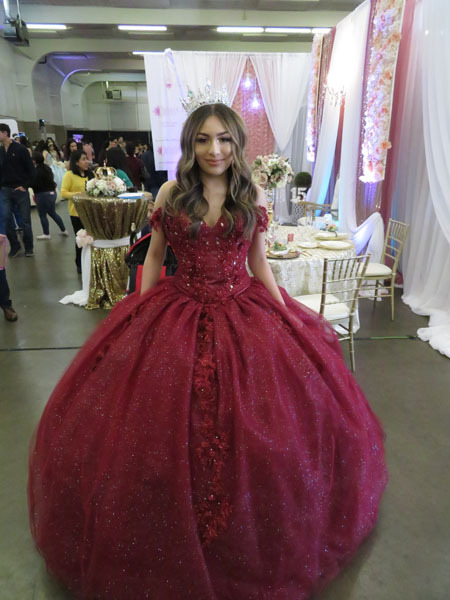 Jeanette Del Toro, whose mother owns Gala Formal Wear, said that it is always a guessing game — but that is what makes it exciting. She said she has to be able to accommodate both the girl who wants something simpler and a little different, as well as the girl that wants to go all out.